Iro Christina Karampampa is the founder and managing director of ArtistsinTune management. She was born in Athens (Greece) in 1987, and she has been living in The Hague, Netherlands since 2009. Iro is an ambitious and creative young business professional with a diverse and dynamic working background, with experience in various sectors; in customer service and sales, in research in a transport related field and in management and planning. She holds a Masters of Science in Economics & Business with specialization in Transport Economics/Logistics from the Erasmus University Rotterdam. How it all started? Since 2009, Iro has the privilege to meet and interact with many classical musicians that introduced her to the sounds of the classical and contemporary music. In 2014 Iro organized a tour to India for her partner, Martin van Hees – classical guitarist –and managed to arrange 12 events-concerts-masterclasses in various cities around India, inter alia Bangalore, Hyderabad, Chennai, and Goa. Iro is being advising the professional career of Martin van Hees since then, including the production of his first CD. The ongoing enthusiasm and will to understand musicians, and her passion to discover new talents in the modern music world, emerged the launch of ArtistsinTune Management. 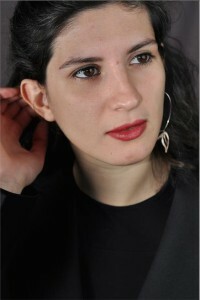 Under this name, Iro, as an event manager and producer, represents artists and ensembles. Since 2015, Iro has discovered the passion of composing, and the art of putting together all the different elements in music. Contact us for more information as regards ArtistsinTune management services.